"Read. Read in the name of thy Lord who created; [He] created the human being from blood clot. Read in the name of thy Lord who taught by the pen: [He] taught the human being what he did not know." (96: 1-5). "Are those who have knowledge equal to those who do not have knowledge?!”(39:9). (a) Time: "Seek knowledge from the cradle to the grave." (b) Place: "Seek knowledge even if it is far as China." (c) Gender: "Seeking of knowledge is a duty of every Muslim"
(d) Source: "Wisdom is the lost prop­erty of the believer, he should take it even if finds it in the mouth of a mushrik." The Prophet did not only preach about importance of knowledge, he also gave examples of promoting knowledge. In the very first battle between the Muslims and unbelievers or Mecca, known as the war of Badr, the Muslims gain victory and caught seventy kuffars as prisoners of war. One of the criteria of releasing the POWs devised by the Prophet was that those who were literate among the pris­oners could go free if they teach ten Mus­lim children how to read and write. 2) What Type of Knowledge? Knowledge in Islam is normally di­vided into two broad categories: there is a famous saying "al-'ilm "ilman: 'ilmu- adyan wa ilmu abdan - knowledge is of two kinds: the knowledge concerning religions and the knowledge concerning [human and physical] bodies." What has been mentioned above on the importance of knowledge refers to both, the religious as well as the secular knowledge. • The Muslims lost leadership in the field of physical science and technology because of arrogance which led to stag­nation. • The invasion by the Mongols, who were barbarians and did not appreciate the value of knowledge: they burned down the most prestigious libraries in Baghdad. • In the nineteenth century, when the Muslims attempted to revive the process of education and knowledge in their so­cieties, they naively adapted the western secular system which had completely separated the religious sciences from the secular sciences. (Example of the Turk­ish reformers of the last century and also Egyptian intellectuals of the early twen­tieth century, especially Dr. Taha Husayn in his Mustaqbilu ‘th-Thaqafah fi Misr. We can also mention Sir Syed Ahmad Khan of India.) The Muslim world is still suf­fering from the dissection between the re­ligious and secular sciences. 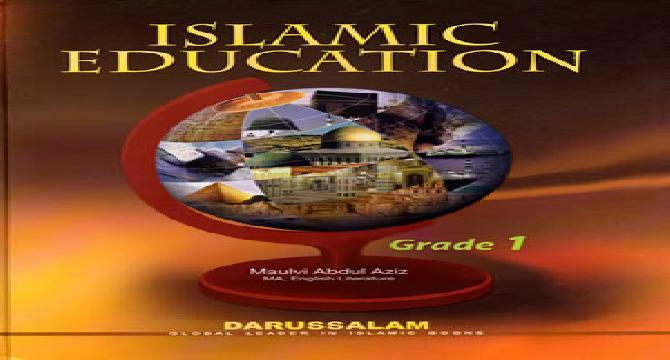 This issue goes back to the basic dif­ference between the Islamic and Chris­tian view of knowledge. In Christianity, the Bible relates the fall of man to the sin of stealing the fruit from the tree of knowledge; whereas, in Islam, the Quran describes knowledge as the basis on which the man was given preference over the angels. Even historically, the Chris­tian church is full of stories about its Inquisitors who censored the works of science and also tortured the scientists if they views were contrary to what the Bible said. In Muslim history, no such institutionalized censorship or suppres­sion of scientists can be found. In the Muslim world, you find the harmonious combination of the two types of knowl­edge. For example, in the person of Ibn Sina, you had someone who had written al-Isharat on philosophy and metaphysics, and also al-Qanun fi’t-Tibb on medi­cine, a book whose Latin translation was used as a text in western universities till two centuries ago!